Saddleworth's glittering panto is back! 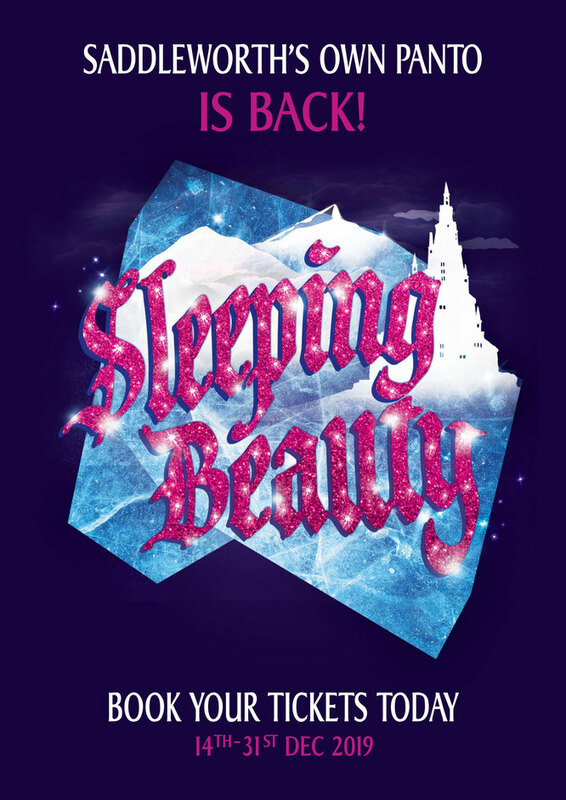 Following 2018's sellout sensation, the team behind Jack and the Beanstalk are back with a dazzling new pantomime for Christmas 2019 - Sleeping Beauty. With a hilarious new script and jaw-dropping special effects, Saddleworth's very own panto will be bigger, better and even more magical than ever. "Spectacular set and costumes... the special effects were stunning"
The box office (at Delph Library) is open Tuesdays 2pm–5pm; Wednesdays 2pm–7pm; Thursdays 1pm-6pm and Fridays & Saturdays from 9:30am–1pm. The box office at Delph Library telephone number is 01457 874644 or 07515 392462.